Rest in Peace little Beau. Beau went to the Rainbow Bridge on Wednesday. After having a setback in his overall condition last week, he had a seizure on Tuesday. His little body had enough. 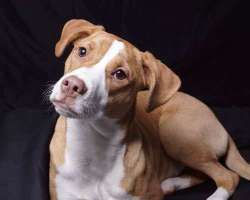 Save A Dog did everything we could to give him a good quality of life, but he battled the odds of multiple genetic defects in his short 7 month life. We will be forever grateful for having Beau in our Save A Dog family for some of that time. Thank you to everyone who donated towards his care. We will miss you, little "Peanut". Hi there! 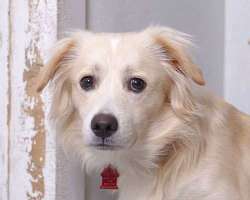 My name is Blondie and I am a 9 month old male Corgi mix from St Croix. I love meeting new people. I'm a little shyer then my brother Harry but I will warm up quickly. Because I have been with my brother for so long I would love to have another dog friend. I also love going for car rides. I hop right in and sit down nicely. Hi my name is Brady. I came in from Georgia with my brother Snoopy. I am a year and a half and weigh in around 31lbs. I am very skinny right now, eventually I should weigh around 50 pounds. I am very sweet and love to play. If you are interested in me please fill out an online application at saveadog.org. Hi, my name is Clifford! 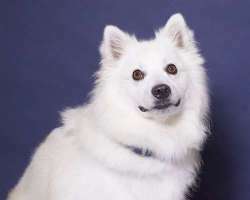 I'm a 4 year old male purebred American Eskimo. I seem to ignore cats. I was born on 3/23/13 and have my AKC papers in case you want to enter me into their dog sports. I weigh 32 lbs. Please apply online, no phone calls please. 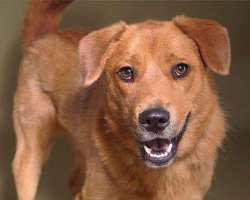 Cuddles is a two year old neutered yellow Lab / Australian Shepherd mix who is from Georgia. He is already neutered and will be soon ready to get adopted. It's hard to believe such a nice dog was on the euthanasia list. Please give him a great home. He won't let you down. 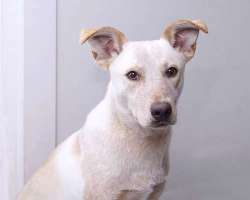 Hi my name is Dinah and I'm a female Shepherd cross. I'm six months old and weigh 32 lbs. I'm a puppy so am fine with other dogs and with all over handling. I'm the sister to Bella. Watch my Video: https://youtu.be/PnIj7BDDSE0 I'll be available after 11/11/17. 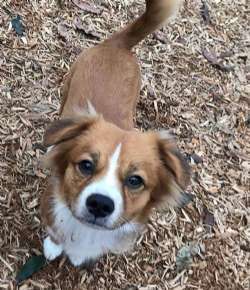 Hi my name is Harry and I am a 9 month old male Corgi/Spaniel mix. The vet that I just met also thinks I am part King Charles Cavalier. So I am a fancy mutt! I came to Save A Dog from St. Croix with my brother Blondie. I am very outgoing and I love everyone. I love playing and wrestling with my brother so another dog at home would be great. I also love giving kisses. If interested please apply online at saveadog.org. Hi I'm Heidi! 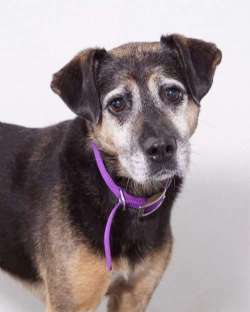 I'm a seven year old spayed female and weigh around 30 pounds. I'm good with dogs and I don't mind cats! 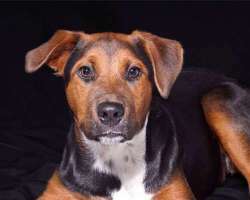 I am a Shepherd, Lab, Hound mix. I'm very laid back and sweet. I love walks. I was in an animal control facility in Massachusetts. I'm already spayed and vaccinated. They said I was adopted from animal control when I was a puppy and I was returned five years later for digging. We haven't seen any digging behavior at the shelter or in her foster home. You won't find a sweeter dog. I'm available now and am in a foster home. 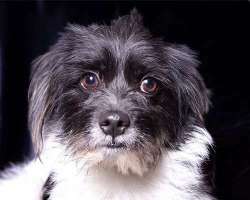 Juana is a little one year old Spaniel/Shih tzu mix who was brought to the Humane Society of St. Thomas. She had puppies a week later and all died. She is ready to meet you after her spay surgery. She weighs around 10 lbs and has a nub of a tail. Hi my name is Lula. I am a 7 month old beagle mix from West Virginia. I weigh around 30 lbs. I am house and crate trained. Although I am housetrained I shouldn't be left alone for too long as I am still young and full of energy. I love to play with toys and dogs. In my foster home I have three playmates. It is awesome because we all play nonstop. I am also very smart and have learned, sit, lay down and paw. Even though I am a ball of energy I love cuddling on the sofa. I am also very good and calm in the car. Please watch my video https://youtu.be/wiTYca9VSuU. 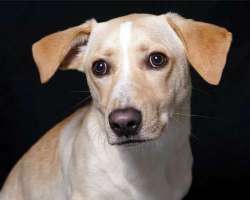 Milo is a 9 month old neutered male "Bass-a-dor (Lab/Basset mix). Milo is all the fun of a full-size yellow lab in a compact version, He weighs about 28lbs. Milo packs a lot of fun in his low-rider package! He loves to run, play with toys and talk to you all about his day. He's lived with dogs and cats. He's a goofy guy who always wants to have a good time - and he can bring the party himself! Milo enjoys hanging out with other dogs, and of course loves his people as well. He knows a few commands and, since he loves treats, he is pretty easy to train. We know you'll fall for Milo! He arrives on Sunday, 11/5 and should be available by 11/8. Get your application in early so you don't miss out on this fabulous dog. 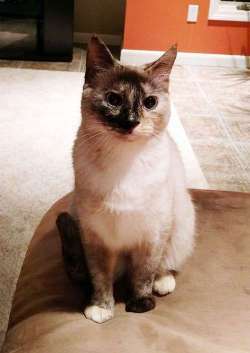 Missy is an adorable 5 lb five year old Siamese/Calico kitty who was adopted, but she was too playful for the senior cat in the home, so she's in a foster home with Save A Dog and looking for a new home. She was raised with cats and dogs. She's up to date on vaccines and has had the standard feline tests. Please email adoptions@saveadog.org for an application. Hi my name is Nicki. I am Yorki mix from West Virginia. I weigh around 7 pounds. Here is my video https://youtu.be/-QO69ZXux9M. I'm available to meet after 11/3/17. 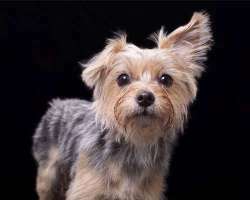 Rachel is a one year old little Yorkie from Boston. She was found on the streets covered in mats. Now she is with us at Save A Dog. 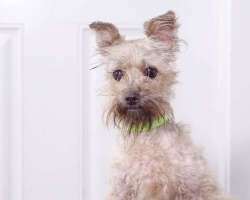 She has been in a foster home with another Yorkie and she's a bit of an attention hog but shares her space better with a male than with a female. She bonds well and is happiest curled up in your lap. 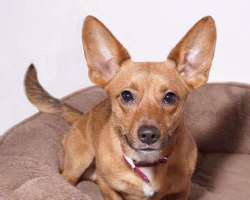 She is high energy and loves running in a fenced in yard and playing with the other small dog. She needs some crate time to unwind and is good in her crate. She's house trained and lets you know, but she's not a dog for a working situation as she can't "hold it" more than a couple of hours. She loves bully sticks. She is skittish with new people and with sudden noises. We require a fenced in yard for her so that she doesn't bolt off the leash and prefer someone who has worked with smaller, skittish dogs. She's losing the black color and is turning silver. She's in a foster home so once we receive your application we can arrange for her to be brought to the shelter to meet you. We also want to place her locally, in the Sudbury area or 10 mile radius. NO PHONE CALLS, PLEASE! 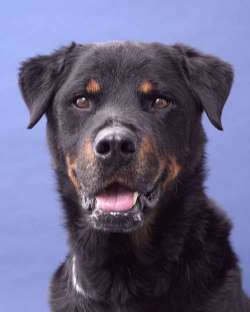 Roxie is a spayed Rottie girl who was in a shelter that euthanizes for space. She had an adopter who spoke up for her but then didn't come to pick her up. 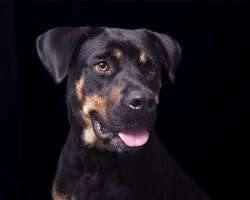 She is a great dog, great with other dogs and with overall handling. Her previous owners vetted her regularly and she has all her records. 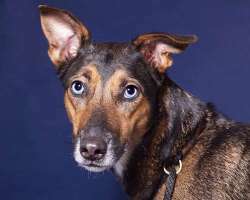 She is a super nice dog who deserves a second chance. She is great with men! Check out her video: https://www.youtube.com/watch?v=JO4XXMWtVzk&feature=youtu.be She's available after 11/7/17. Hi my name is Spooky. 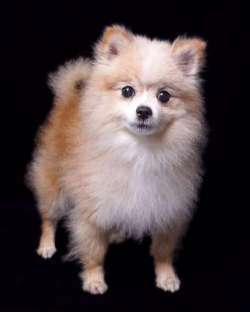 I¹m a 7 year old Pomeranian. Even though I¹m very fluffy. I only weigh 8 pounds! I¹m quite spunky and love to wrestle. I¹m great with my three foster siblings (they¹re big!) I just don¹t like when they try to take my food or bed. I could go with another dog they would just have to respect my space. I also don¹t like when someone reaches into my crate really quickly. However if you call my name I¹ll come out of my crate and let you give me pats. I am also completely house trained. I'm really friendly with everyone and love cuddling but I'm still independent. I also like to ride in the car. I am too small to go to a home with children. Spooky Video: https://www.youtube.com/watch?v=6qwbIwJFwS8&feature=youtu.be Available after neuter. NO PHONE CALLS, PLEASE! 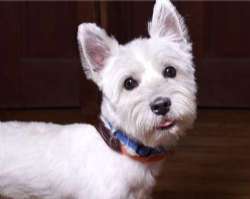 Teddy is a 3 year old Westie from MA whose owner gave up due to working long hours. Teddy was having accidents in the house but we attribute it to long hours alone as well as possible marking as he is not yet neutered. We are looking for a terrier-experienced home for Teddy. He is supposedly fine with cats. He was not raised with small children, but there were teens in the previous home. He will be groomed before his neuter appointment. Please apply online if you are interested. NO PHONE CALLS PLEASE! 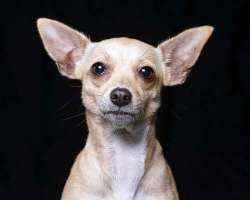 Hi there, My name is Tina and I'm a one year old Chihuahua from TX. 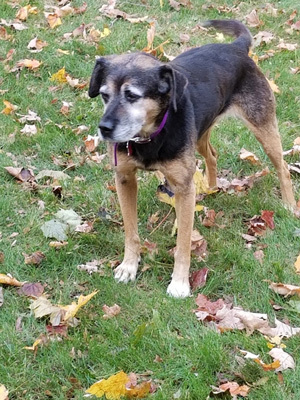 I love to sit on your lap and I will try to play with the older dog in my foster home. 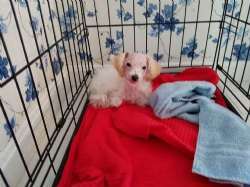 I am crate trained and house trained for the most part but I have a small bladder so I need to get out more. I know what you're thinking - just another tan chihuahua. No way! I'm Tina and I'm a special princess (at least that's what my foster mom tells me...) I had a rough couple of months. I'm just a year old and far away from where I was born. I was found as a stray near Galveston just before some crazy storm called Hurricane Harvey. After the storm, I sat and waited and waited and waited until over a month went by - but nobody came. 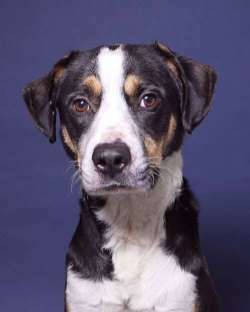 There were a lot of us waiting, so I got picked to move to the big city in Dallas with PAWS for Irving Animals. And now I'm a Bostonian. I'm a sweet girl and I love to cuddle and flop over on my back so my foster mom can rub my belly until her hand gets tired. I'm a little nervous of my foster dad, but he's feeding me good treats so I'm starting to like him. 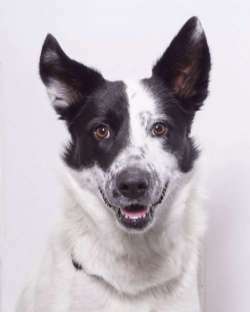 I'm excited to get a forever family - maybe that will be with you? Just fill out an application or come to an adopt event to meet me! NO PHONE CALLS, PLEASE! Hi I'm Zeus! 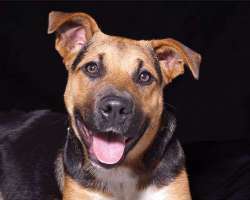 I'm a one year old German Shepherd mix from Massachusetts. I know a lot of commands including, sit, paw, and give. I would love to find an active family that is familiar with my breed. I'm getting neutered on Wednesday, November 1.